The grand finale of the prestigious annual Indian Chef Awards 2018 culminates in Goa at V.M. Salgaocar Institute of International Hospitality Education (VMSIIHE), one of the leading institutes of hospitality education in India with the support of Prof. Irfan Mirza, Director and Principal, VMSIIHE. Over 160 leading chefs from across the country descended into Goa for the grand cook off which was followed by the Award night. Her Excellency Smt. Mridula Sinha, Governor of Goa, graced the function as the Chief Guest and gave away the awards along with, Consul General of Portugal in Goa, Mr. Antonio Chrystello Tavares, Chef Hemant Oberoi, the mentor of the Indian Chef Awards and Smt. Dipti Salgaocar, Director, VM Salgaocar Corporation Pvt. Ltd. Other dignitaries included Mr. A. M. Gude, Advisor-Hotel Division & Finance, VM Salgaocar Corporation Pvt. 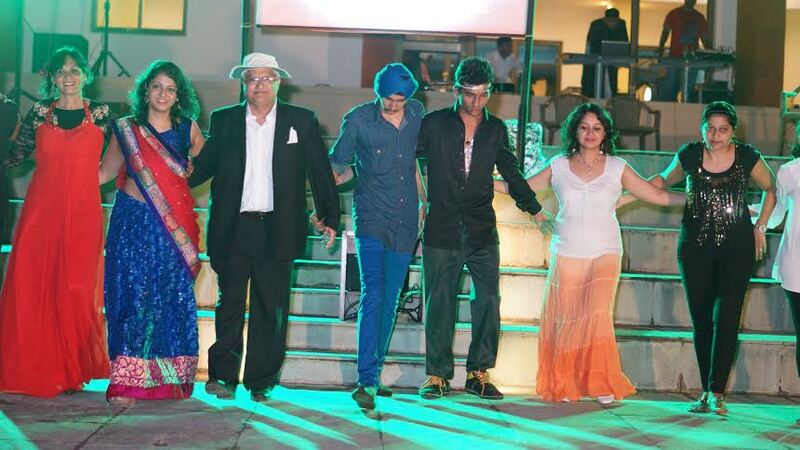 Ltd and eminent personalities from the Hospitality industry and other guests. This year’s theme for the cook off was BEST FORGOTTEN RECIPES in the Individual and Team category. Prakash Sundaram of Grand Hyatt Kochi was named Chef of the Year and received the prestigious Boris Do Rego Trophy for the Best Forgotten Recipe in the Individual category. He triumphed over other nominees Karthik G of Grand Hyatt Kochi; Muruganantham from Novotel Chennai; Prakash Sundaram of Grand Hyatt Kochi; Nithin Bajaj, Sheraton Grand Whitefield Bengaluru and Dr. Sangeetha, PIMS, Udaipur. The second place for the Best Forgotten Recipe Individual Category was won by Karthik G, Grand Hyatt Kochi while the third place went to Dr. Sangeetha, PIMS, Udaipur. In the Best Forgotten Recipe Team category, Grand Hyatt Kochi bagged the first place with Punjab Grill, Bengaluru in second and Freshmenu, Bengaluru in the third spot. The other categories in the Indian Chefs Awards 2018 were “Best Starter” won by Dr. Sangeetha Dhar, PIMS “Best Paneer” delicacy won by The Leela Goa, “Best Butter Chicken” won by Punjab Grills, Chennai; “Best Rice” won by Freshmenu, Bengaluru and “Best Dessert” won by Grand Hyatt, Kochi. According to Mr. Xavier F.F. CEO of the Indian Chef Awards, the Awards for the ‘Best Chefs’ are bestowed in honour the young chef Boris Do Rego who lost his life along with the other lads in the Taj Mahal Palace Hotel Mumbai attack on 26th November 2008. The annual Indian Chef Awards held regional selections in Mumbai, Bengaluru, Chennai, Kochi, Kolkata, Delhi / NCR and Ahmedabad before heading to Goa for the grand finale at VMSIIHE. All the participating chefs competed against the best in the industry and were judged by Chef Hemant Oberoi, Chef Urbano Do Rego, Celebrity Chef, Taj Fort Aguada, Chef Vineet Manocha-Vice-President Culinary Lite bite Foods Pvt. Ltd., Sunil Soni- Corporate Executive Chef, Chef Ranjeet Pandey - Director Operations, Fisherman's Wharf, Director Food Production, Holiday Inn, Goa and President of Culinary Forum of Goa., Chef Sebastian Breitinger-Prof. Culinary Arts, VMSIIHE, Goa, Chef Sylvester D’Souza-Proprietor and Corporate Executive Chef Sheela restaurant, Vasco-Goa and Chef Hrudananda Behera-Executive chef at Taj Fort Aguada, Goa. The event has been mentored by Celebrity Chef, Hemant Oberoi. Having spent four decades of his professional life in the industry, Chef Hemant Oberoi has risen to the highest ranks of the culinary world. The prestigious annual Indian Chef Awards 2018 will be taking place at V. M. Salgaocar Institute of International Hospitality Education (VMSIIHE), one of the leading institutes of hospitality education in India, later this month as participants and leading chefs from across the country descend into Goa for the grand finale and award night. As a part of its community service, V.M. 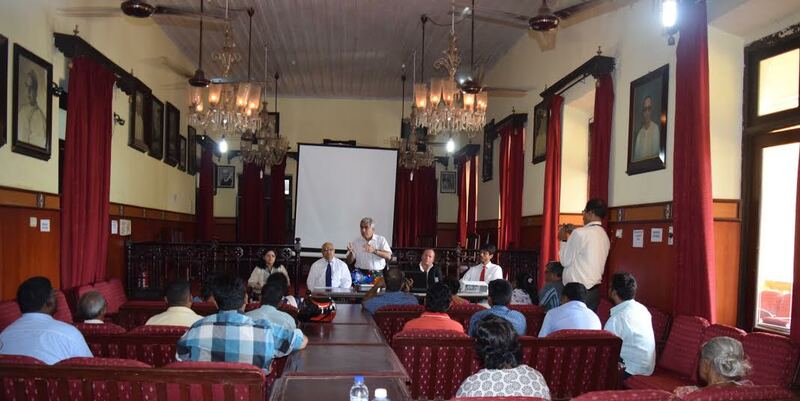 Salgaocar Institute of International Hospitality Education (VMSIIHE), Raia, in collaboration with the Directorate of Food & Drugs Administration, Goa, organized a two day workshop on Food Safety, Hygiene and Sanitation for street food vendors recently at Margao Municipality Hall. The workshop was inaugurated at the hands of Dr. 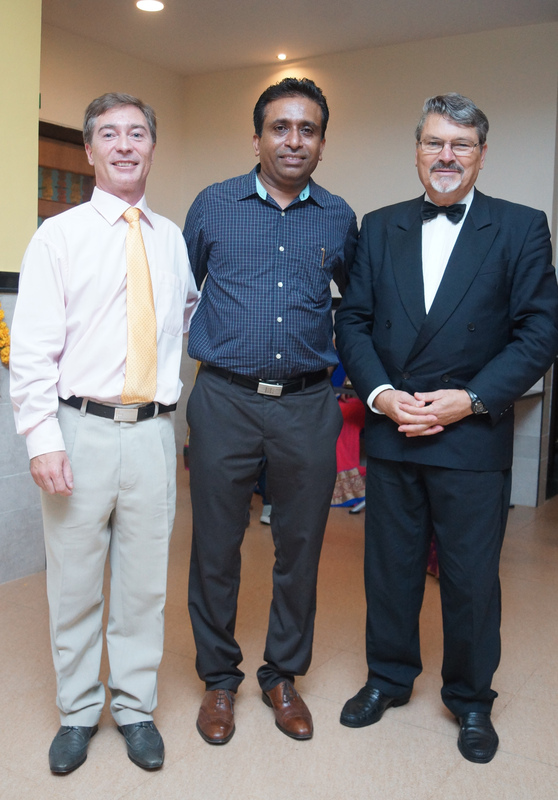 I. Bhanumurthy, Administrator, VMSIIHE and Mr. Nelson Fernandes, Senior Food Safety Officer, FDA. VMSIIHE holds baking and culinery workshop for the teaching staff of Damodar College of Commerce and Economics, Margao V. M. Salgaocar Institute for International Hospitality Education (VMSIIHE) recently conducted a one day workshop on cake decoration, confectionery and baking for the teaching staff of Damodar College of Commerce and Economics. 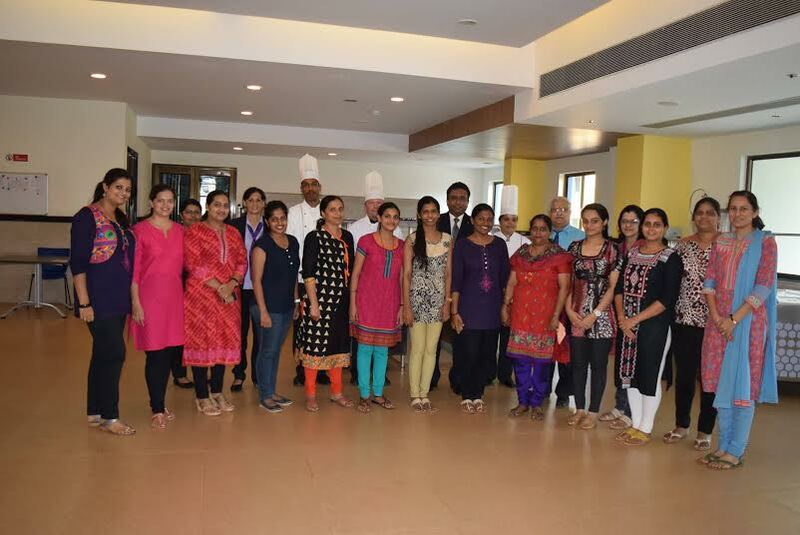 A group of fifteen enthusiastic teachers underwent a short intensive training in baking of variety of cakes, confectionery and decoration of cakes. One of the country’s premier hotel management institute, V.M Salgaocar Institute of International Hospitality Education (VMSIIHE) will host international faculty members Sebastien Semenzi and Georges Ortiz for the next few months at its sprawling campus in Raia, South Goa.. Sebastian Semenzi and Georges Ortiz will be at the institute for the next few months and will train the students in the finer nuances of hospitality. Diwali celebrated at V.M Salgaocar Institute of International Hospitality Education (VMSIIHE) It was a night of sparkle, shine, dhoom and dine at the Diwali celebration organized by V.M Salgaocar Institute of International Hospitality Education (VMSIIHE). The institute successfully hosted its first Diwali gala dinner to celebrate the end of its first term at its sprawling campus in Raia, with a cultural extravaganza, excellent hospitality and festive cheer.